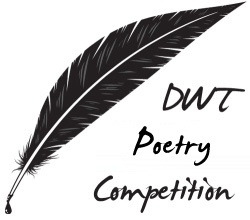 I am pretty sure we have many poets and wanna-be poets among our readers (not to mention the ones who just like to read poetry), so it was about time to run a DWT Poetry Competition. The winner will receive a $100 Amazon gift card. The three runners-up will receive a free license for the Fanurio billing software. 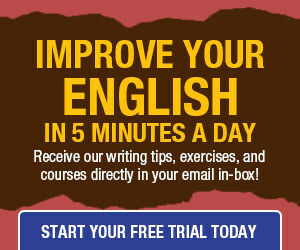 You’ll get people reading and giving feedback on your poems. The poem must be in English, original, and must not have been published in the past. By taking part on the competition you allow us to publish your poem online (it will stay on the blog even after the competition). But you retain all the publishing rights over the material. From March 2nd onward we’ll publish a batch of poems every Tuesday, and our readers will be able to vote on their favorite poems, until we elect the winner. It is time to reveal the Robert Frost or the Emily Dickinson you have inside! For the DWT Poetry Competition, is a poem previously published on Twitter accepted? And can there be multiple entries from the same person? @Sourav, only poems that have not been published will be accepted, and only one entry per person. Cool! I just found you guys a few weeks ago and love the info. 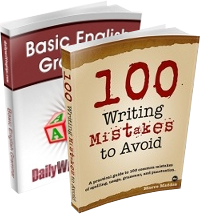 You guys were just what I was looking for in regards to useful writing tips. I am excited to enter this competition! @Vicky, yeah I am guessing we could make an exception for Twitter and personal blogs. Ummm…. isn’t it “Participate in”? can the translation also be allowed for the competition. Thanks Daniel. I know it’s a tricky area. D – I think you’ll find it safer to simply ask for the poems in the body of the message. Attachments seem to be “deadly” more often than not, according to the daily buzz. I guess this would be great for us to explore the world of wild imagination..
Let’s create something that would make this world be a better place to live in..
A Poem could mean a lot! For the poetry contest- can we enter a poem that was submitted on another website purely for feedback purposes? (i.e. About.com’s creative writing prompts?) Thanks! Hi there, I plan to enter this competition. But I have a question to the following rule. -The poem must be in English, original, and must not have been published in the past. I plan to incorporate some Latin words into my poem, that will give it a certain spin to the poem. So I am wondering if that is allowed or would it get me disqualified? Or are there certain requirements that one must do to be eligible to enter a poem with words from another language, such as putting the definition of said words at the bottom of the poem. I am stumped and as such I have not submitted my poem, until I am positive that it is allowed. @JS, yes that would be fine. @David, entering some words from another language is fine. I have submitted a poem for the competition. Wanted to know if you would send any confirmation e-mail for submissions. I was not sure if that has reached you. Occasional poster and longtime lurker here. I’m curious: is there an age limit on the contest? I imagine there isn’t, because it wasn’t mentioned, but I would like to make sure. I really wish that you would have another poetry contest and allow poetry that was previously published elsewhere. when is the next competition..? can i get updates for the next competition please. Ditto. When can we expect to see this again?